The first DIY home security system that measures the temperature, air quality and movement throughout your smart home. Are you looking for a home security system that can also monitor your air quality and temperature while keeping track on your children? That's the concept behind Tabs, a DIY system that GearBrain recently tried in our smart home test space. Tabs is a DIY home security system that also says it can monitor the health of your home. The device not only keep track of the activity inside your living space, but its temperature, humidity and air quality. You can set coverage zones as well, which means you can know where you children, or other members of your household, are when they're within the Tabs coverage zone. Inside your Tabs Healthy Home & Security Kit you will find a hub, three door & window sensors, motion sensor and a healthy home sensor. Tabs Window Sensors are Magnetic. 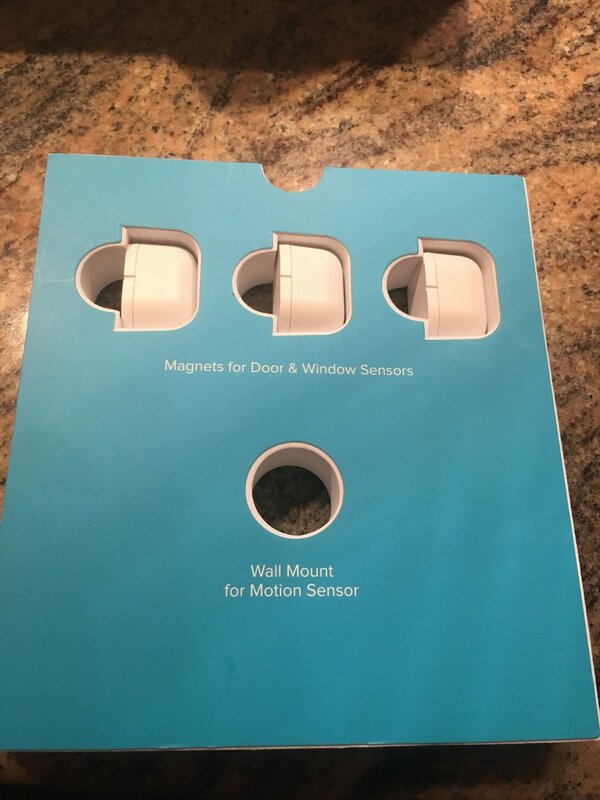 You will see Tabs separated the magnets for your window door sensors. For our test, we were given a Tabs Object Locator which is sold separately from Tabs Helathly Home & Security Kit. 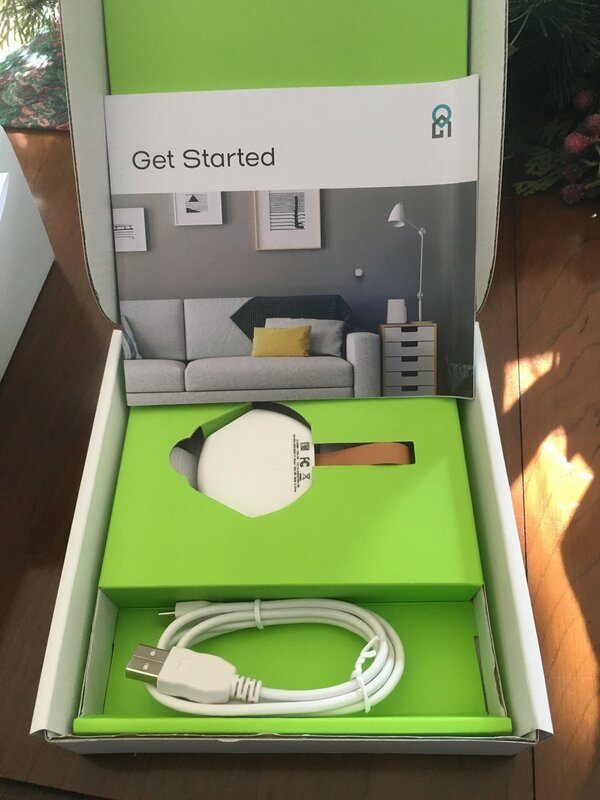 Inside the box is a hub, motion sensor, a separate "healthy home" sensor, door and window sensors, a wall mount for your motion sensor, adhesive mounting pads for your window and door sensors, a USBC to A cable and an ethernet cable. 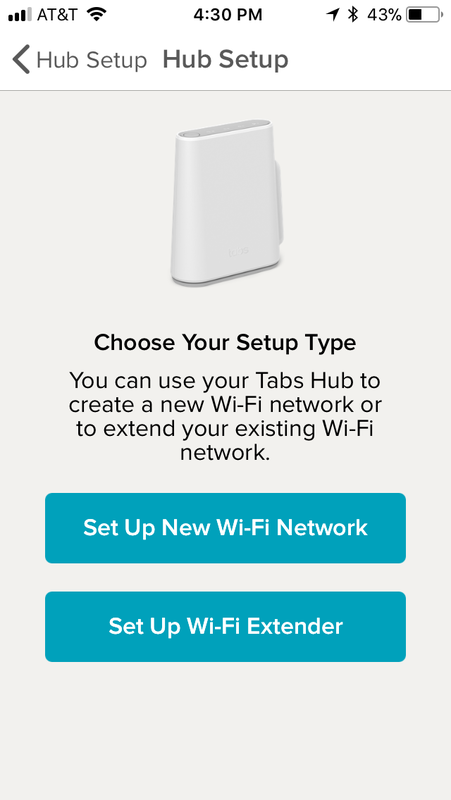 The Tabs Hub is a Wi-Fi hub you connect to your home Wi-Fi network that can also double as a hotspot. The hub pushes Wi-Fi coverage up to one mile for any Tabs device. And this is key — when you want to track someone, like your kids, who have a Tabs Object Locator or a soon-to-be- released Tabs watch — the hub will monitor them whether they're inside the house or not. The company also has plans to release parental controls for the Tabs Hub, it says, letting you block selected apps and web content, while also tracking your kid's time online. My favorite feature is the ability to turn the Wi-Fi on and off — I know some of my teenagers can use an internet break once in awhile. On the back of your main Tabs device are four ports. One is a USB 2.1 Type-A port, used to charge any of your Tabs devices. 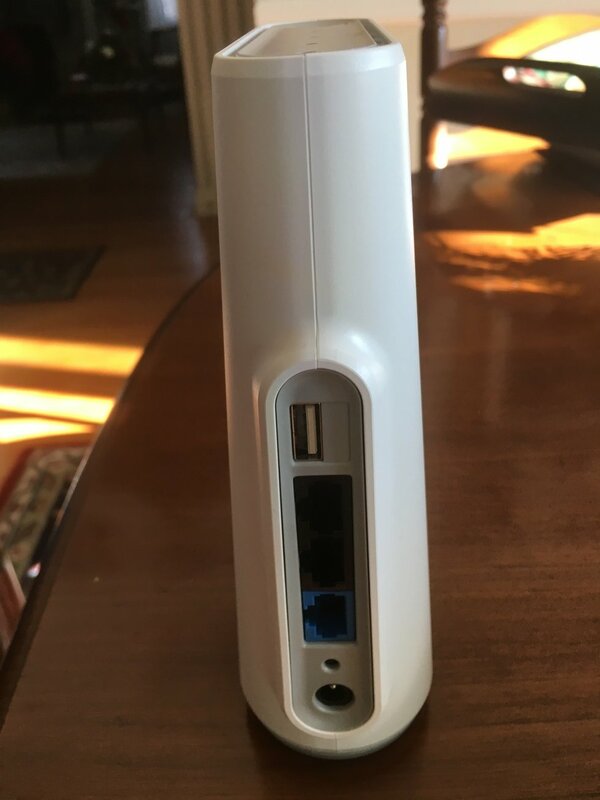 There are also two LAN ethernet ports, as well as a WAN port, which you use to connect the hub to your home Wi-Fi network. Powered by a 12V power supply, theTabs Hub also has a WPS button which is not active as of yet, but the company told GearBrain will eventually enable a Wi-Fi protected setup to Tabs for any wireless device. For our test, we connected a Philips Hue hub to the Tabs Hub to see how they'd work. The Philips Hue Wi-Fi smart LEDs linked — nice to see — but we couldn't control the lights via the Tabs app. We had to use the Philips Hue app, which was disappointing and we see as a sticking point for anyone wanting to control all their smart home devices via one app or hub. Because the Tabs Hub has LAN ports, you can use these ports to connect a hub, like Nexia Bridge or Philips Hue Hub. But note that you'll then have to use the corresponding connected hub app to control any devices connected to these hubs. Not, in our opinion, ideal. Like most DIY home security systems, Tabs includes a motion sensor, with a mount. This one covers a 170-degree horizontal viewing angle, as well as a 97-degree vertical view, and can detect motion as far away as 20 feet. The motion sensor works by detecting changes in the infrared energy in the room — so where you place it is key. Installing the sensor near a vent or heating or cooling source, like a radiator or AC unit, is not recommended. Instead, Tabs recommends positioning the sensor in a direction that picks up any intruder walking through the coverage area — but not directly at the motion sensor. Have a dog or cat? Keep in mind that the Tabs sensor does not have a pet setting — and will detect pets if they walk into the coverage area. The company recommends pet owners test multiple positions for the motion sensor to one that doesn't set off an alert when your dog races through, but still covers your space for security reasons. The two door and window sensors need to be position no farther than .5 inches or 1cm apart, or they will read the window or door as open. 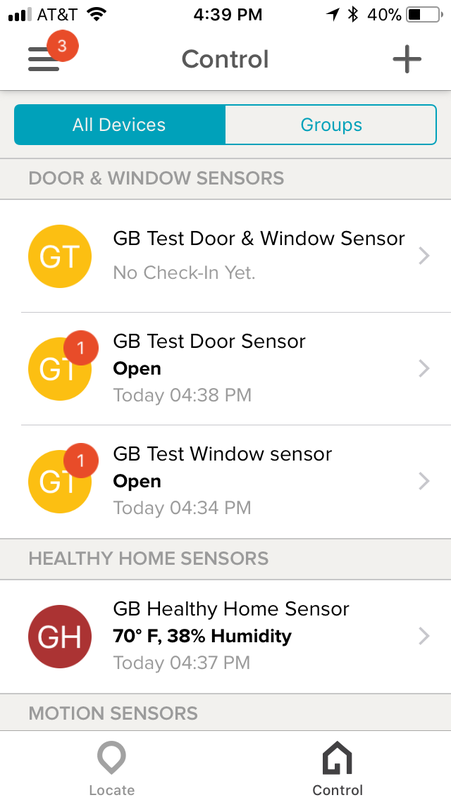 We found the Tabs sensors rather big when compared to window and door sensors from other DIY home security systems. Depending on the size of your doors and windows, you might have some issues, as we did, with the devices not fitting easily between out window and molding. Tabs also comes with what it calls a Healthy Home Sensor, the first one of its kind that GearBrain has tested with a DIY Home Security System. The device monitors your home's temperature, humidity and air quality. Like the Motion Sensor, you also can't place this sensor near a heat or cooling source, an air vent or the direct air flow. Instead, the company recommends you place this particular sensor on a desk, bookshelf or night stand. 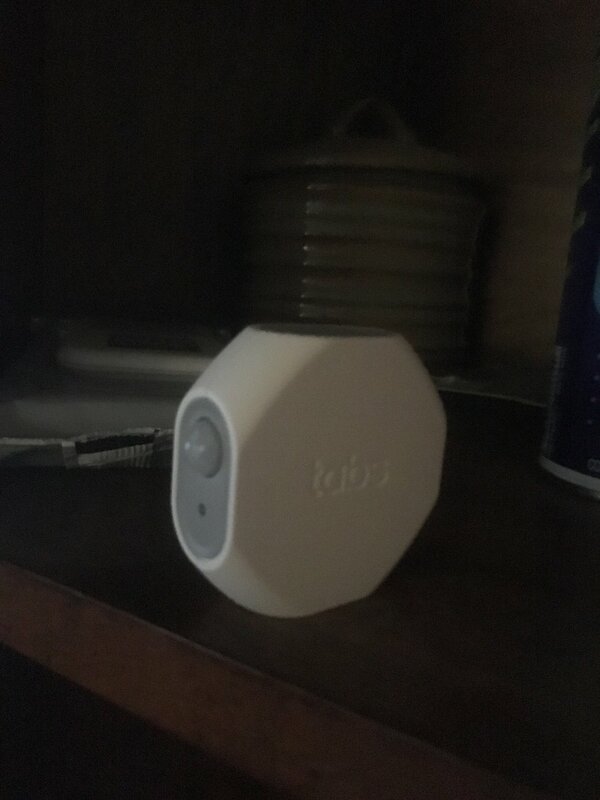 We put our sensor on a night stand in the master bedroom, right upstairs from the Tabs Hub, and found we didn't have any issue with the wireless connection between the two. 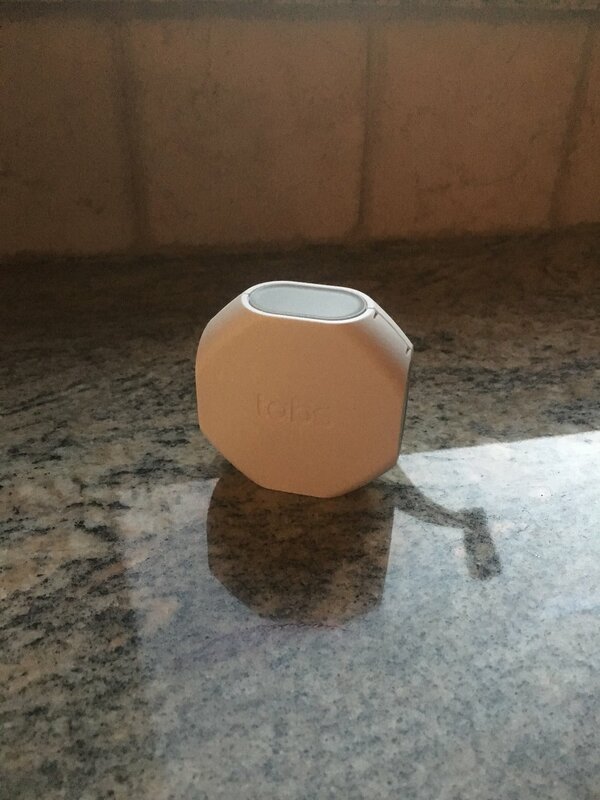 What makes the Tabs Health Home Sensor unique, says the company, is how it measures the air quality in your home. According to Tabs, this sensor measure on a parts per million (ppm) basis, detecting high levels of Volatile Organic Compounds (VOC), or emitted gases from various household products, including some paints, aerosol sprays and cleaners. The sensor can also calculate the level of Carbon Dioxide (eCO2) which is another potential health hazard in the home. Note this sensor will not measure carbon monoxide (CO) — and is not intended to replace any carbon monoxide reader you currently have in your house. But Tabs mentions in its manual, that according to health experts, long term exposure to elevated levels of VOCs and eCO2 can cause health issues. The Home Health Sensor — like all of Tabs' devices — works through the free Tabs app, available for both Android (Google Play) and iOS (App Store) smartphone and tablets. The app lets you set up alerts and keep track of the sensor's battery life. I set an alert for when our room temperature fell below 65 degrees, as my wife likes us to sleep in a very cold room at night. During a recent cold spell, my smartphone went off constantly. We also tested the Tabs Object Locator, which does come with the Tabs Home Health & Safety Kit. Like a tracking device, such as TrackR, the Object Locator is integrated into the Tabs Hub, and connects to it through the app. You'll need to charge the Object Locater before using, but it comes with rechargeable batteries which last about two days. After charging the locator, you can add it to the Tabs app — but note that this device will be in "airplane mode" when shipped out, which we discovered after calling customer service. So to get it running, you need to press the button on the Object Locator for 10 seconds, at which time the light will flash, indicating you're out of airplane mode. One of the nice features with the Tabs Object Locator is setting an alert in the app when the locator reaches a set destination, leaves home or goes outside of your coverage area or zones. We set an alert for when my wife left the house, got to work and arrived back at home. It worked seamlessly (now that we were out of airplane mode.) If you have children and want to know when they arrive at school and arrive home in the afternoon, this is a nice feature. You can also see the path the Object Locator — or the person carrying it — took. We liked that as well, as you can see if you children came right home after school, and followed your instructions. Setup for the entire Tabs system is rather easy. First, plug in the Tabs Hub and wait for the power LED light to stop blinking. Next, download the Tabs app and follow its instructions. To add each device to the Tabs hub you can just scan a QR type of code that's on each one of them, or input the device ID. Scanning was quicker. You'll need to name each device as well — particularly the door and window sensors as they show up as just that: door and window sensors. To tell them apart, give them each a specific name. Tabs Home Health & Security Kit retails for $229.99 and the Object Locator goes for $39.99. 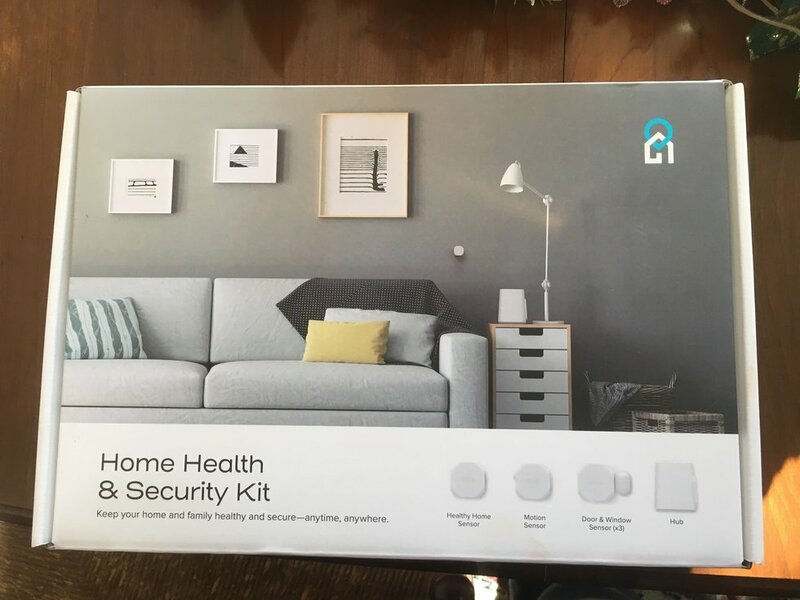 You can buy the Healthy Home Sensor ($34.99) and the door and window sensors ($24.99) separately but the Motion Sensor is not expected to be sold separately until April 2018. All are available on Tabs website. The Tabs Healthy Home and Security system had a number of things we liked — and didn't like. The combination of a DIY Home security system with an air and temperature reading sensor is a plus. We also like how the Object Locator worked too. Being able to keep an eye on your kids is important to many parents — especially those who work. 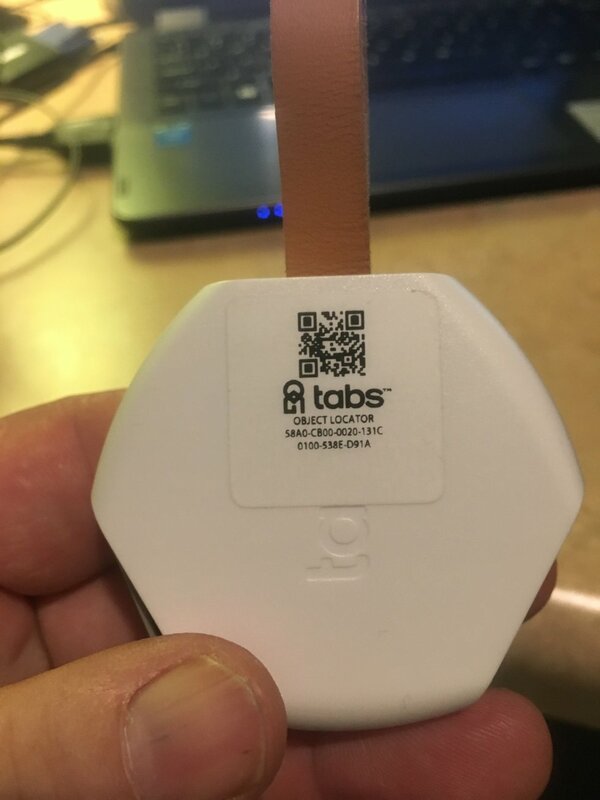 We also think caregivers of elderly parents could benefit from Tabs Object Locator, especially if they have family members who tend to wander during the day. Finally, the Object Locator can help keep a close eye on a bag or even a car. Just keep the locator powered up — and out of airplane mode. When parental controls are added, we think these will enhance the system as well. Lack of smart home integration with other brand devices was a big issue for us, however, as was the fact the Tabs system lacks a security camera. 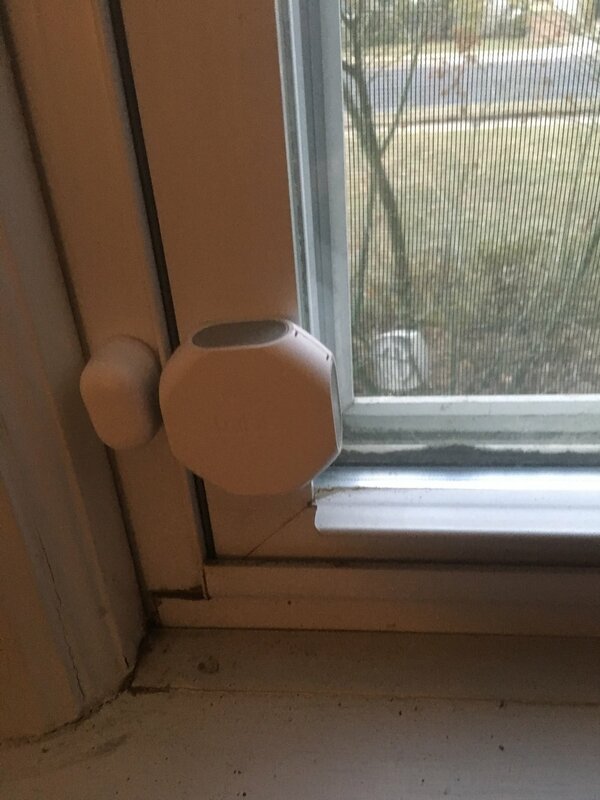 The size of the door and window sensors are also just too big, not just for our home but for others who looked at the devices. We would recommend smaller sensors if possible. Tabs is a new DIY home security system that only recently entered the smart home market, and we're looking forward to seeing the improvements they will make in the coming weeks. 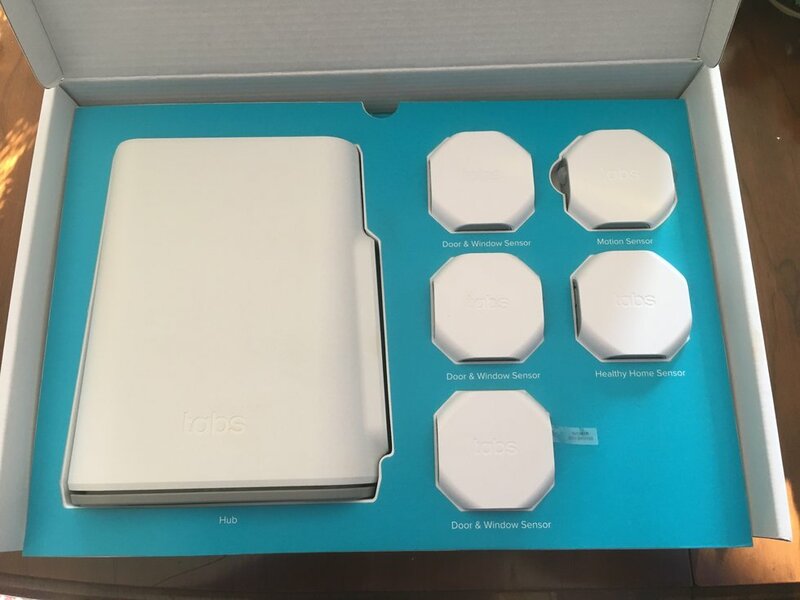 For now, if you are in the market for a DIY home security system, and have children in your household or an elderly parent living with you whom you'd like to keep "tabs" on, then we think Tabs Home Health & Security Kit is a system you could consider. There are no fees, plus the company is offering a free lifetime subscription. However, if you want a DIY home security system that works with well-known smart home devices, like smart lights, locks or security cameras, we think Tabs is not the best choice for now.